Dave Grohl and Taylor Hawkins told Radio X's Chris Moyles their spouses were particularly keen to visit the studio when the Mirrors singer was there. The Foo Fighters' wives had a huge crush on Justin Timberlake and tried to visit him in the studio. The pop icon appears on the band's Concrete and Gold album track Make It Right, and while frontman Dave Grohl and drummer Taylor Hawkins had a lot of kind words to say about the singer, it seems their WAGs were even more taken by him. See them talk about the Timberlake effect in our video above. Speaking to Radio X’s Chris Moyles about his chance meeting with the star at EastWest Studios in Hollywood, Grohl recalled: “He said, 'Man I’d love to sing on the record'". 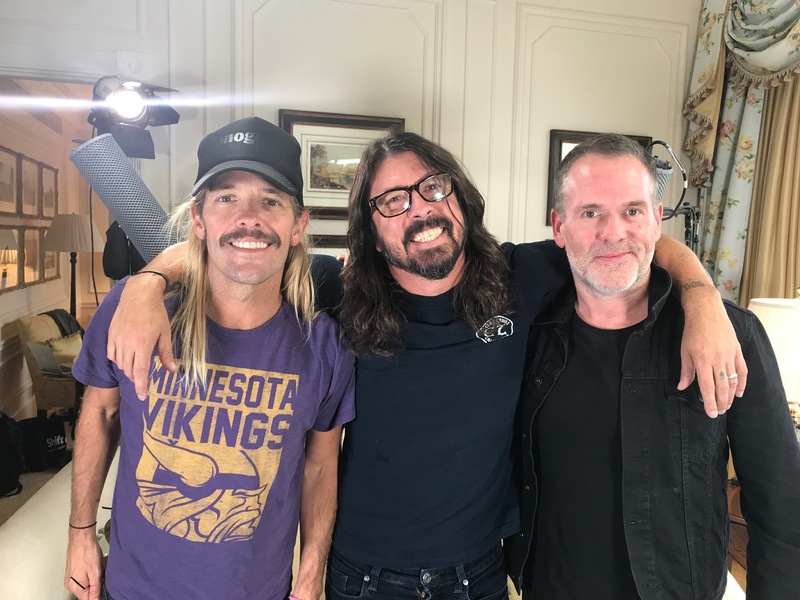 Dave Grohl and Taylor Hawkins recently met with Chris Moyles in London for an in-depth chat - you can watch the whole interview right here. Dave mused: “Sure… I feel like I’m kind of handsome like him, I can dance like him," before his bandmate interjected: “All of our wives think he’s hot..."